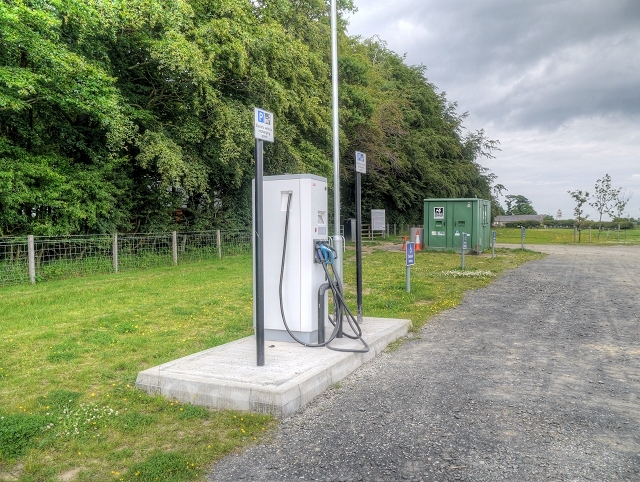 Rapid charging stations like this one in Northumberland are to become increasingly deployed after last week’s news, and increasingly by traditional oil companies. Further details of the buyout of Chargemaster (the UK’s largest charging infrastructure company) by BP was announced last week. The acquisition of the company took place on 29 June at a price of £130mn. This follows confirmation that BP will start rolling out fast electric vehicle (EV) charging points at its 1,200 petrol forecourts over the next 12 months, with 150kW rapid chargers delivering 10 miles a minute of charging speed. On 6 July, oil company rival Shell welcomed bringing forward the ban on sale of all petrol and diesel cars and vans, which was announced in July 2017. Shell welcomed bringing forward the ban to bring greater clarity to the government’s plans for EVs. It noted that the electric car transition would be steered at different speeds in different parts of the world, with Western European countries like the UK at the faster end of the spectrum. Shell have also responded to the electric vehicle revolution by buying out charging infrastructure companies, such as buying out charging providers New Motion in October last year. National Grid also raised interest on charging infrastructure last week, expressing concerns over take-up numbers. Speaking at an EV charging infrastructure event on 3 July, it cautioned that the current EV charging market was unlikely to deliver the required infrastructure necessary for the large take-up of EVs. It also cautioned that government incentives do not currently exist for rapid chargers of 120kW-350kW, representing an emerging gap in the market. To deliver rapid uptake of EV charging points in motorway service stations and similar ‘top-up’ locations, new policies would be required before the mid-2020s. Another new innovative approach for EV charging was unveiled by Gridserve on 4 July. The company, a developer of renewables and battery storage, unveiled plans for a national network of EV forecourts with rapid charging capabilities. These would include charging times of less than 30 minutes and would aim to be cost competitive with home charging.